A national campaign, ‘Read on, Get on‘, to get children reading well by 11 years old has been launched by a group of organisations and businesses. A report has been published which sets out the four main action points of the campaign which include prioritising the development of communication skills in the early years of a child’s life, and supporting families to help their children read. 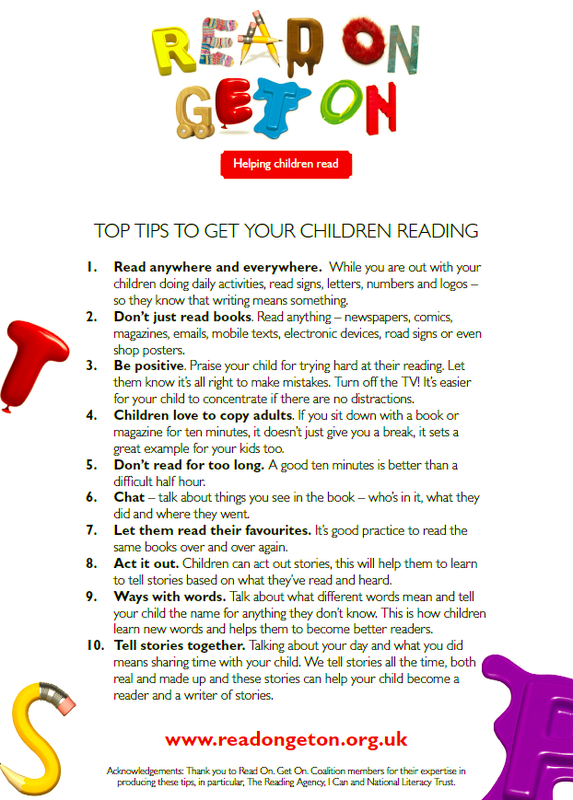 ‘Read on, Get on’ have created a list of ten Top Tips to get children reading. This may be something you want to share with parents/carers through your school website/blog. This entry was posted in Uncategorized on January 7, 2015 by Mr Cook.